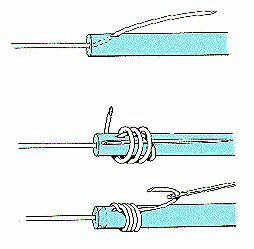 The needle knot is very useful for attaching a leader to a fly line. It is often favored over other attachment methods because it creates very little splash when landing in calm water. The only drawback is when renewing leaders you have to cut a small piece from the end of your flyline to start a new knot.